IMAGE: Kapil Sharma, in better days. One of Kapil Sharma's oldest and most loyal friends was taken aback to see the actor surrounded by strangers. "I was out of town when that incident (Kapil Sharma had exploded in an expletive-ridden tirade against a film journalist on Twitter; the comic later deleted his tweets) happened on Friday. When I landed, my phone was flooded with messages asking if I knew what Kapil had done. I was panic-stricken," says the friend. "Ab kya kiya Kapil? It turned out to be worse than I had imagined," the friend adds. The friend immediately drove down to meet Kapil, but was taken aback to see him surrounded by people. "There were quite a few people," the friend continues. "Kapil is now surrounded by so-called friends I don't recognise. His girlfriend Ginny is with him constantly lekin uske ilava mujhe nahin pataa yeh log kaun hain (apart from her, I don't know who these people are)." Preeti Simoes -- Kapil's former colleague -- reportedly questioned his mental condition after he filed a complaint against her, but the friend insists that is all conjecture. "We cannot go around playing psychiatrist," the friend says. "If you ask me, all Kapil needs to do is stop drinking and get rid of his new friends." "Also," the friend adds, "the attempts to discredit Ginny must stop. Preeti says she is his 'new girlfriend'. Ginny is actually Kapil's girlfriend whom he ignored for a while as his friendship with Preeti grew." "Now, he is back with Ginny. That girl has given up everything to be with Kapil. Amritsar mein apna ghar-dwar chhod aye hai (she has left behind her life in Amritstar)." Kapil's buddy insists Ginny is a "positive influence" on Kapil. "Ginny is being portrayed as this small-town girl. In fact, she is sophisticated and intelligent. Most of all, she cares deeply for Kapil. To suggest that she is making him do things like posting abusive tweets about the media or calling up a journalist to threaten him, is doing Ginny great disservice." 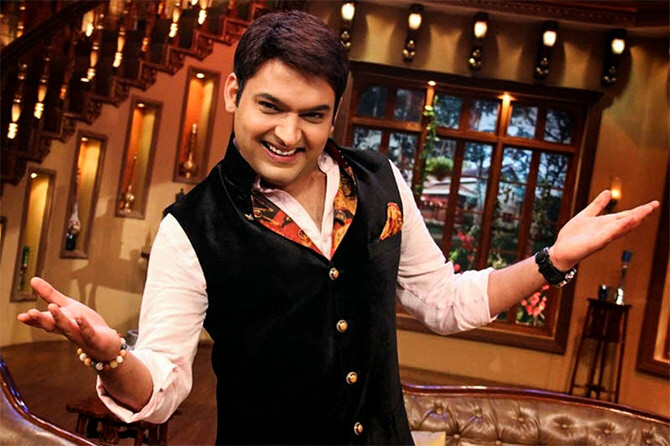 "She doesn't interfere in Kapil's career and profession. She is not allowed to. Kapil does exactly what he wants to. Let us not blame the wrong person." Ranbir Kapoor, who was shooting Brahmastra in Bulgaria in March, is down with typhoid. This comes as a setback as he was on a special diet to build up his physique for his role in Ayan Mukerjee's superhero film. "Ranbir will now have to follow a diet and that would mean abandoning his muscle-building physical training," says a source. The actor skipped Shabana Azmi's Mijwan Fashion Show over the weekend; he was supposed to walk the ramp with Deepika Padukone. Here's wishing Ranbir a quick recovery. Renu Saluja, who died tragically young, was one of the finest editors in Indian cinema. She was married to director Sudhir Mishra when her premature end came. To hear that Sudhir is planning a film on Renu's life is of much interest to fans of serious cinema. "I am not making a bio-pic on Renu's life," says Sudhir. "That would be too much information and experience to accommodate in one film. What I am doing is something more manageable." "I am taking one important incident that happened in Renu's life towards the end and making a film based on that. While focusing on that incident, I hope to bring out various aspects of her life." Aditi Rao Hydari will play Renu Saluja. Sudhir hasn't decided who will play him. "It won't be me," he says. "I will not act and direct. It won't be a star either because a star will be consciously acting my character. It will be an actor, someone who can play me without the baggage of stardom." Sudhir begins shooting the film in November.